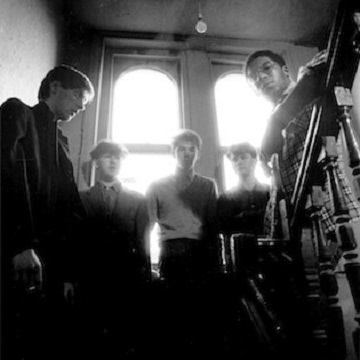 English post-punk purveyors A Certain Ratio embraced the ethic and culture of the late seventies post-punk explosion, but sounded like nothing else around them and refused to fit in. Their dub-infused punk-funk recordings have proved massively influential over the past thirty years - their sound can be heard on everyone from LCD Soundsystem, Happy Mondays, Franz Ferdinand to ESG, and Factory Floor. The show coincides with the release of ACR:BOX, marking the 40th anniversary of A Certain Ratio’s debut release, the Martin Hannett produced All Night Party (Factory Records’ first single release). Five albums were released on Factory , two for A&M and two albums on Robs Records, the label set up by New Order’s manager and Factory’s director, Rob Gretton. Their sound is not easily pigeon holed combining the avant-garde elements of funk, jazz, electronics, tape loops and technology to the pop song, wrapping it in a post punk aesthetic, adding great clothes and the coolest haircuts.